For the best bounce house rental Miami has to offer, you can count on the pros at We Rent Fun. 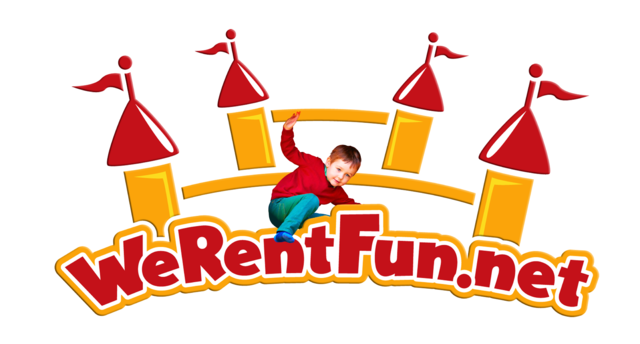 Making your party reservation on WeRentFun.Net is a snap with our new online reservations system. It's easy to use and completely secure for your protection. 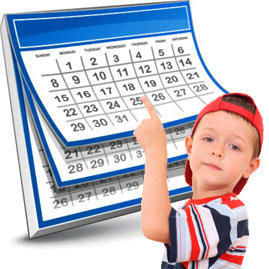 Just click the reservations button below and enter the date and times of your party or event. 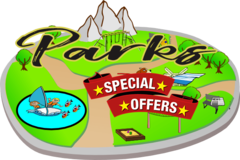 Then as you browse our site, you will be presented with all the exciting attractions and equipment that are available for your specific day and time. And if you just want to browse, no problem! As soon as you see something you like, you can always click the "Reserve Now" button located on every product page and build your reservation that way. Get started now! You're just a click away from an awesome experience! Here are the rental services we offer! 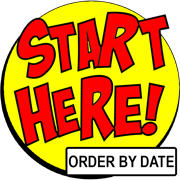 Click here to order or check available by date. Click here for the best bounce house rental Miami and the surrounding areas have to offer. Jumpers of all sizes and styles. Can't decide between a bounce house and an inflatable water slide? Well, with these awesome combo bouncers you can get the best of both worlds. Whether you're having a wedding in Miami, a graduation party in Pembroke Pines or a corporate event in Weston, we have got you covered...literally. If you need a DJ for a party or an event, We Rent Fun has countless years of experience when it comes to providing the perfect music for your event. Say Cheese! You've spent a lot of time planning your event. Why not let your guests capture those magical moments with one of our photo booth rentals. There's no better way to beat the Miami, Florida heat than by cooling off with one of our awesome water slide rentals. Perfect for school field days, company picnics or church events, our inflatable obstacle course rentals are fun for kids and adults alike. Are you ready for a challenge? Our inflatable games are the perfect way to challenge your party or event guests to a little friendly competition. Make just about any location your own personal movie theater with our awesome inflatable movie screens, projectors and sound systems. Nothing says PARTY quite like concession machines. Satisfy your sweet tooth or get your fix of some salty popcorn with the best concession rentals in Miami. Everything from face painters, extra speakers and even pony rides can be found here. If you're having a party in Miami, FL, take a look here first. When it comes to extra seating for your guests, there's no need to worry. We Rent Fun has a great selection of tables and chairs for rent in Miami, FL. It's always a good idea to have something for the smaller children at your next party or event. Our toddler units are perfect for the little ones. Save big with our special party packages. Let us help you create the perfect event with our special packages that combine all of our fun items. Parks are perfect for parties. Fortunately, we have the perfect packages with you. Get a bounce house rental, generator and a whole lot more. Whether you're having a party at a park, or in a field or wherever, sometimes you just need a little bit more power for your event. Having a themed birthday party in Miami, FL or the surrounding areas? We have lots of themed banners you are more than welcome to borrow. We also offer water slides, obstacle courses, carnival games and other fun inflatables. For the best bounce house rental Miami and the surrounding areas have a great provider with We Rent Fun. We carry the largest selection of bounce houses and other inflatable and party rentals in Miami and most other surrounding areas in South Florida. If you don't see your specific location, gives us a call us and will work it out for you; chances are we can make it work out for you. To put your mind at ease, We Rent Fun is fully licensed and insured by The Cossio Insurance Agency; the leading provider for party and event rental companies in the country. We are also one of the few mobile event rental companies in South Florida that are SIOTO certified (Safe Inflatable Operators Training Organization). All of our equipment is purchased from the best companies in the USA and all of our inflatables and games meet or exceed ASTM standards. Also, all of our equipment is thoroughly cleaned before and after every event. We take great pride in providing clean, safe equipment for you and your guests. Why should you trust We Rent Fun for your next party? We Rent Fun is Miami, Florida's #1 choice for bounce house rental Miami, water slide rentals, tents, tables, chairs, concession machines and more. Whether you're having a birthday party in Doral, a church event in Miami, or a corporate event in Pembroke Pines, we have you covered. Take a look at our reviews on Google, or feel free to take a look at what our customers on Facebook have to say. We are fully licensed and we are insured by the Cossio Insurance Agency. All of our fun inflatables for rent meet or exceed ASTM standards, and we only purchase our equipment from the leading manufacturers in the industry. What type of inflatable should you rent for your event? With so many different types of inflatables for rent, it can be overwhelming to know which one(s) will be the perfect fit for your next party or event. 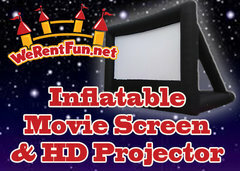 Here at We Rent Fun, we have helped thousands of customers choose the perfect items for their event. Our bounce house rentals are great for smaller children or if you have limited space at your event. Our combo bouncers are perfect if you want to have a bounce house but also like the idea of an inflatable slide. Most of our combos can be used wet or dry. 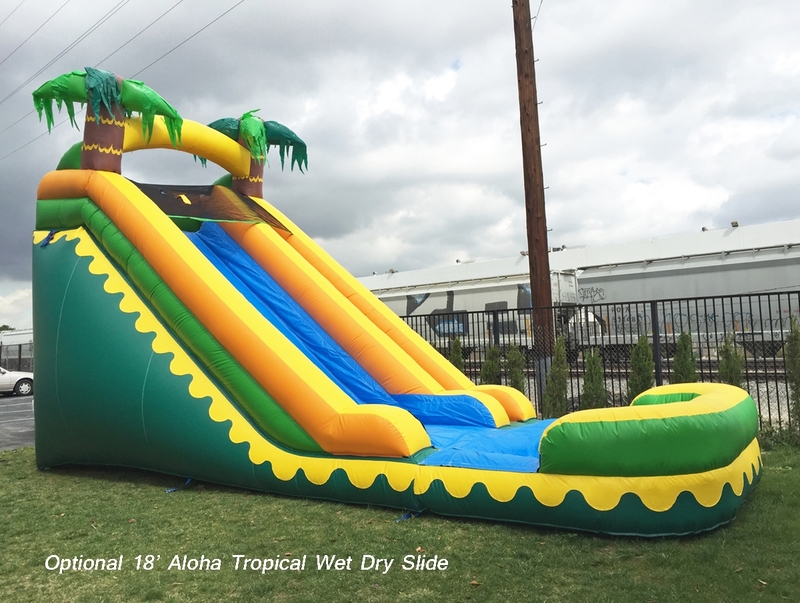 Speaking of wet, our water slide rentals are a perfect way to beat the Miami, Florida heat. Having a large event? Take a look at our obstacle course rentals. These are perfect because they allow a lot of participants to go through in a short amount of time, and nobody is waiting too long in line. They are also great because the grownups have as much fun as the kids. What else do we rent besides bounce houses and inflatables? If you're looking for something other than a bounce house rental or other fun inflatable, don't worry at all. We have you covered. Not only do we have lots of experience with backyard birthday parties and school field days, we are also experts when it comes to weddings, corporate events and other outdoor events. Want your guests to have something to remember your event by? Take a look at our great photo booth rentals. Need an event tent rental or some extra seating? 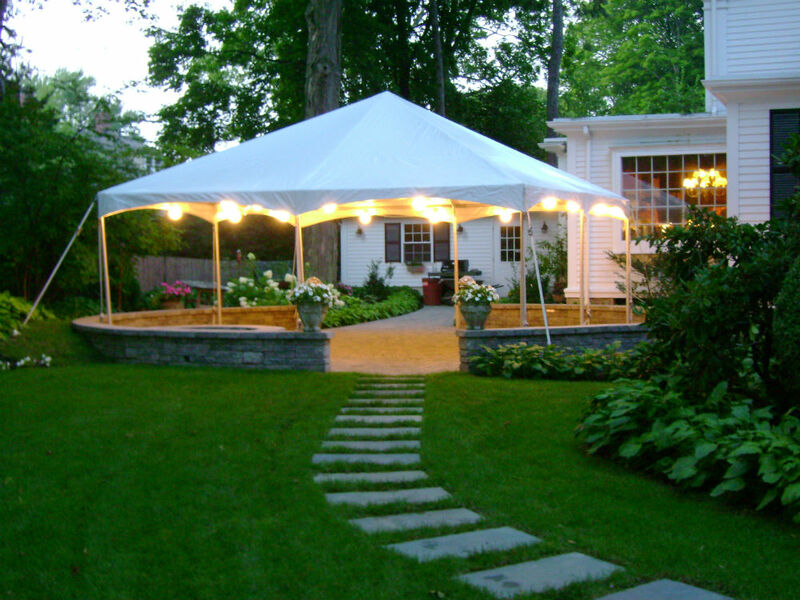 We have small and large tent rentals as well as tables and chairs. We Rent Fun is also proud to offer DJ services as well. Feel like inviting 100 of your closest friends over for movie night? Then check out our giant inflatable movie screen. Just don't forget the popcorn. No event or party is complete without a bounce house rental in Miami. Whether it's a school, church, or corporate function, birthday party, family celebration, or a fun weekend option for the kids, we have what you need! We Rent Fun wants your event to be special. We work to help take the stress out of planning. Our expert staff will walk you through the many options we provide for hours of fun. Bounce houses have come a long way from the standard rentals of years ago. Our inventory of top quality bounce houses includes Toddler Units, Pirate Ships, Disney Princess Castles, 5 in 1 combo, and Slide and Bounce Combos. 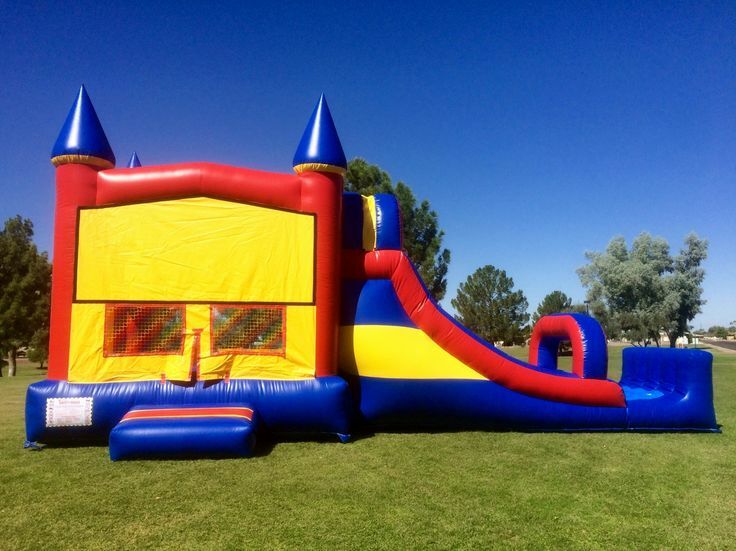 We provide bounce houses suited for toddlers, young children, and teens. The best part is that you can choose your style and color, and then customize it even further with one of our free banners. For those hot summer days, we have wet combos too! It's true! Bounce houses aren't just fun. They offer a healthy activity for all ages. They are especially beneficial to growing kids. Bouncing and jumping help build their balance, flexibility, bones, muscles, and self-esteem. It also helps to burn off all of that extra energy that kids seem to store up. Our Wet Bounce House Combos are a great way for them to burn off energy while keeping cool too. It has a large bounce house, climbing ramp, and a slide with a pool at the end. After bouncing around and getting hot, they can take a plunge into some cool water. You can't beat that! With bounce houses, the focus is on the older kids. You can't really put a toddler in the mix. This is why we offer Toddler bounce house units just for them. It offers obstacles and stimulation for their skill levels that are safe for them. We have the top bounce house rentals Miami has to offer and making reservations is easy. We have a new online reservation system that is secure and user-friendly. You can even reserve items while browsing. We Rent Fun offers bounce house rentals in Miami and its surrounding areas, with a wide selection to choose from. Safety and quality is key to an enjoyable event. We are fully insured and licensed with the top party and event rental company provider in the country. Our company is also one of the few that are Safe Inflatable Operators Training Organization certified. We have professionally trained staff who know how to operate all of our equipment. Our equipment is thoroughly cleaned and sanitized before and after each event, and highly maintained. 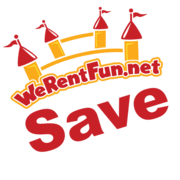 There are so many great reasons to use We Rent Fun for your events. Our services are of a high standard from beginning to end. We also offer some great package deals, discounts to our return customers and for referrals. If you're looking for top quality bounce house rentals in Miami, look no further. We have everything you need to make your party or event a truly memorable occasion.